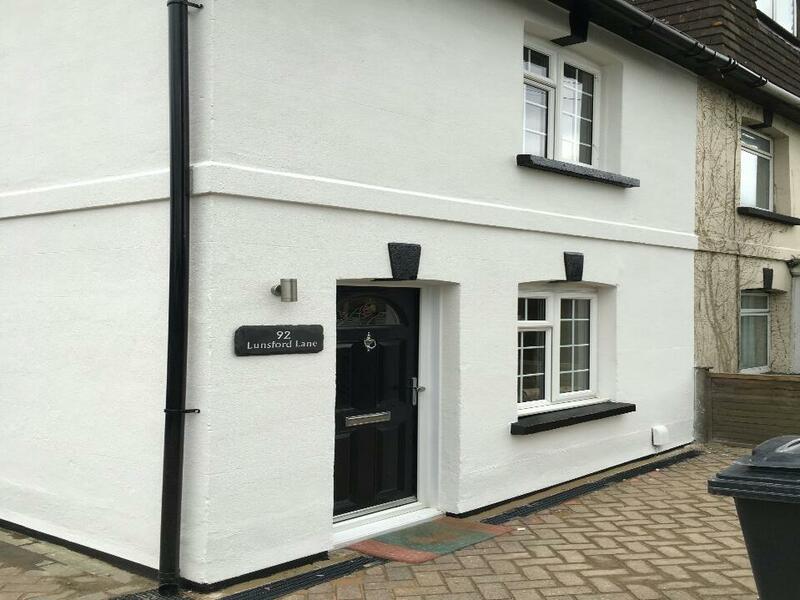 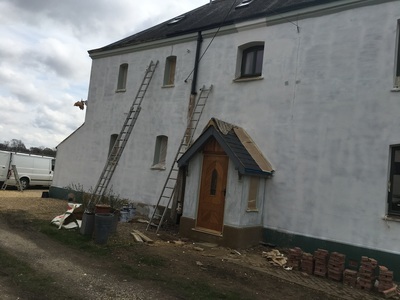 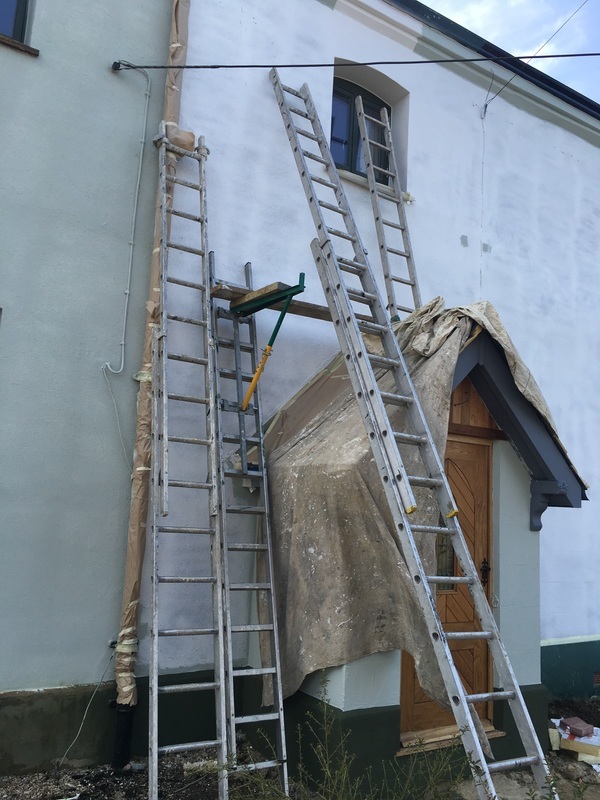 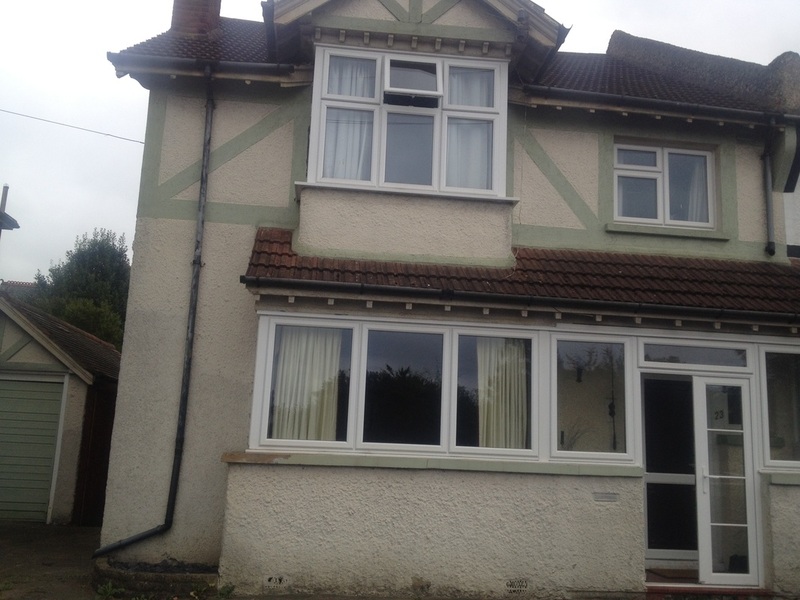 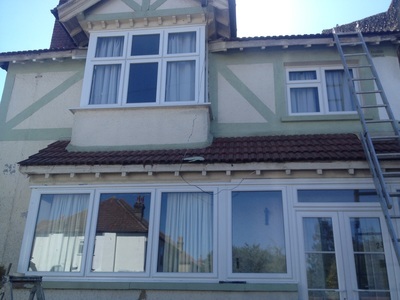 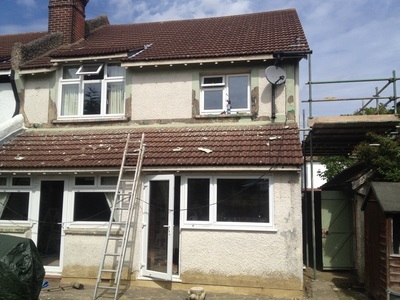 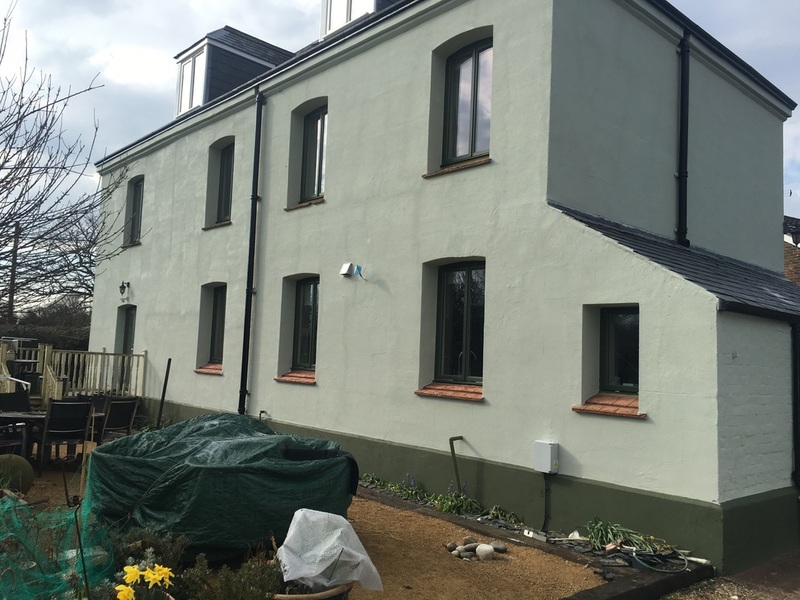 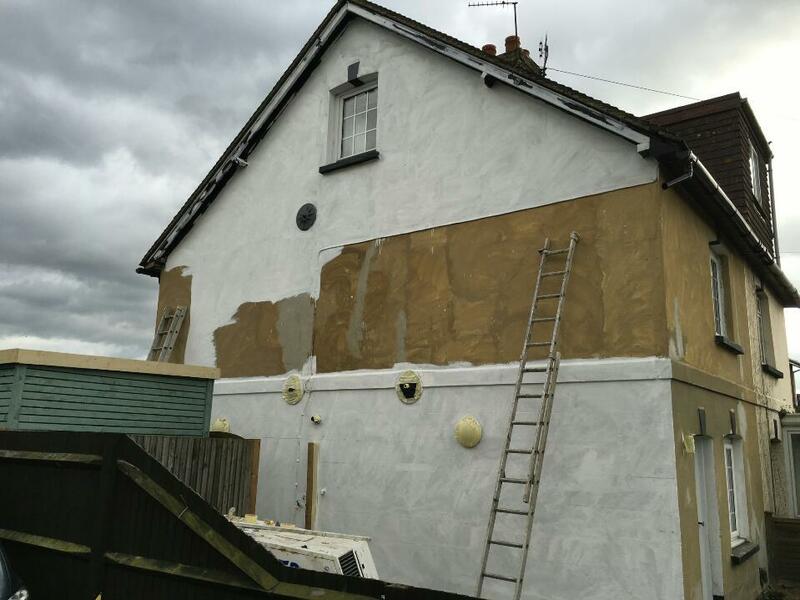 This property required render repairs, followed by undercoat primer and finishing in two shades of green Andura® Exterior Wallcoat. 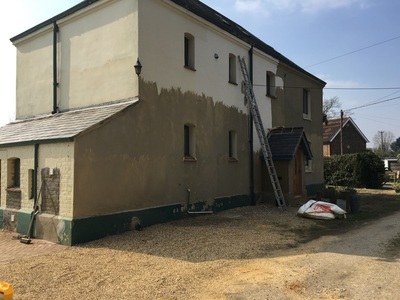 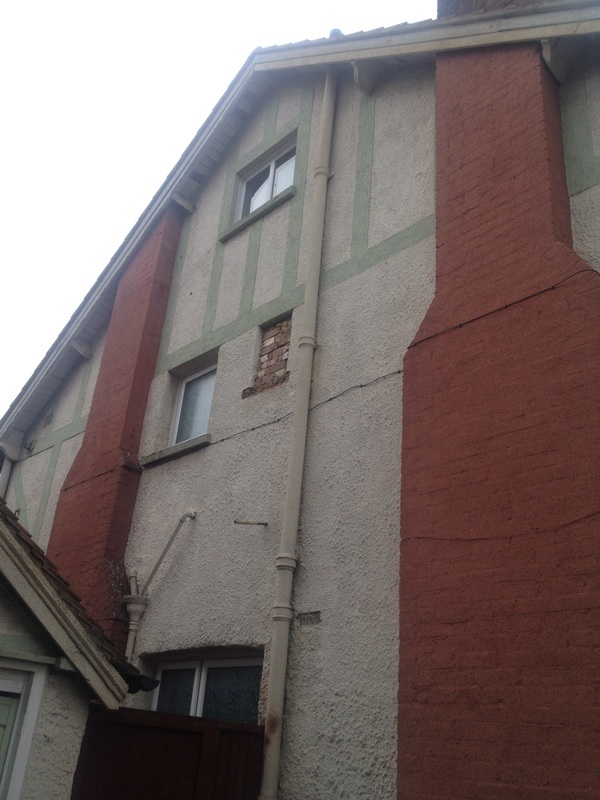 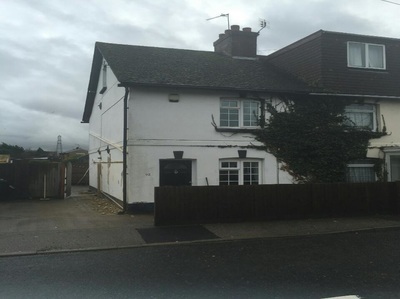 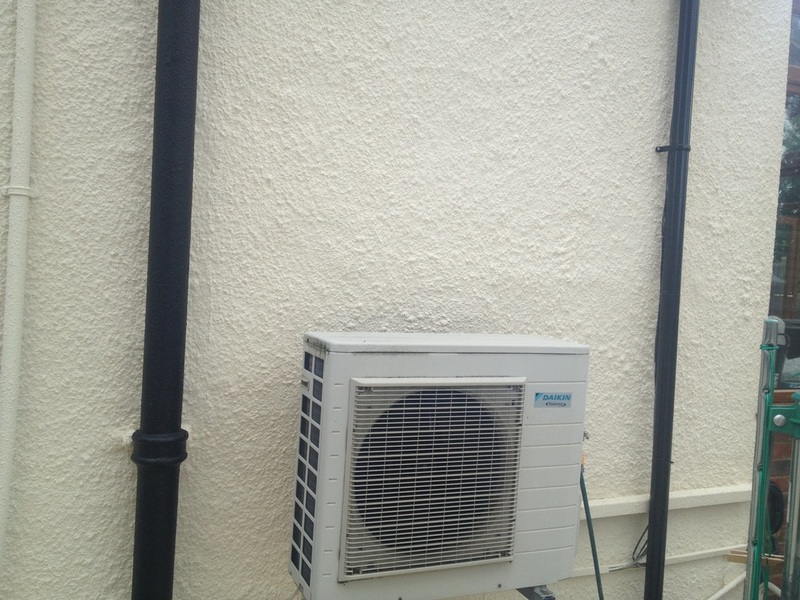 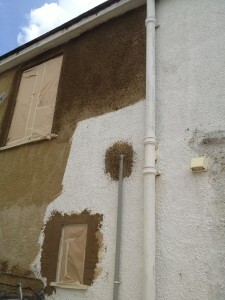 This property required a new damp proof course to deal with rising damp, and quite a lot of remedial work to cracked render before any painting could be carried out. 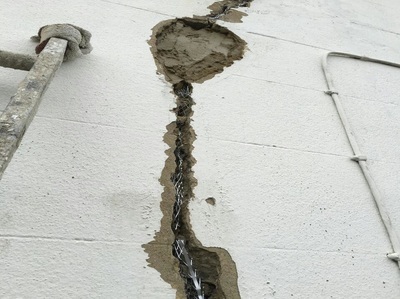 The large cracks were opened out and repaired with expanded metal and epoxy resin, before being filled with sand and cement. 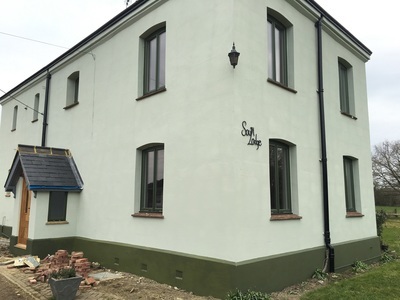 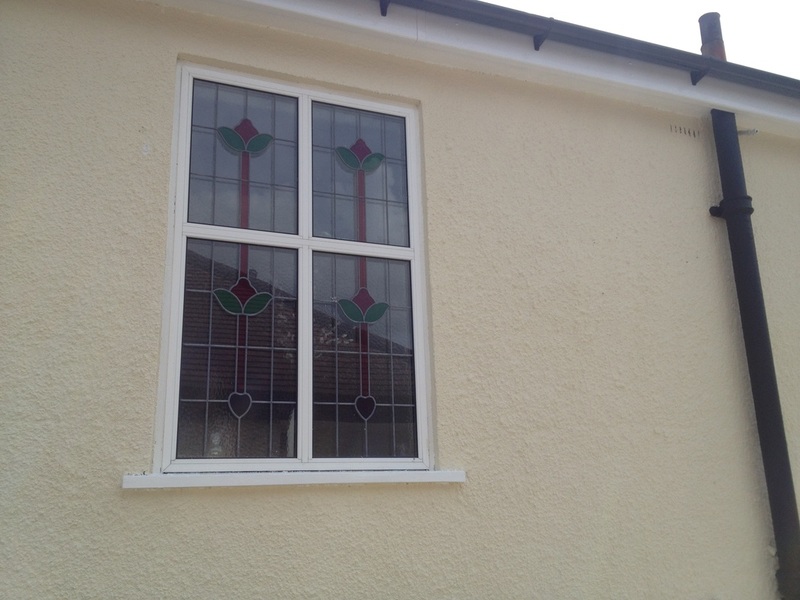 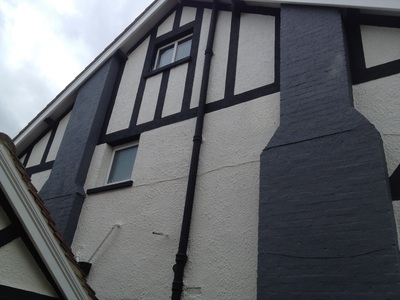 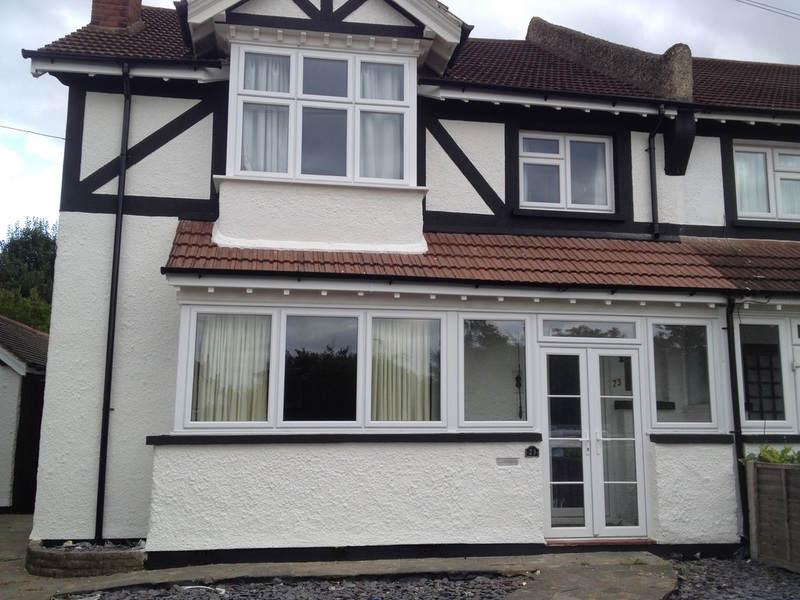 The whole house was then bonded with SBR and Andura® primer applied. 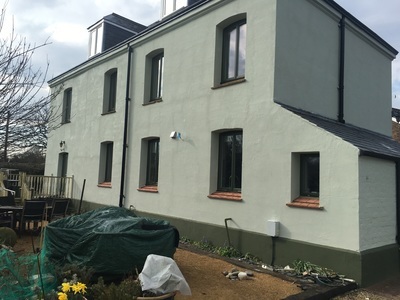 The walls were then sprayed with Andura® fine texture exterior wall coating to achieve the desired finish. 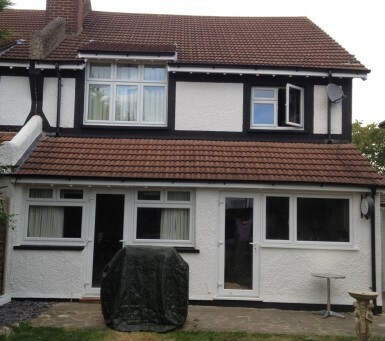 "Terry has transformed our house. 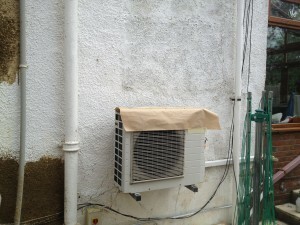 He is easy to get along with and is happy to explain his work. 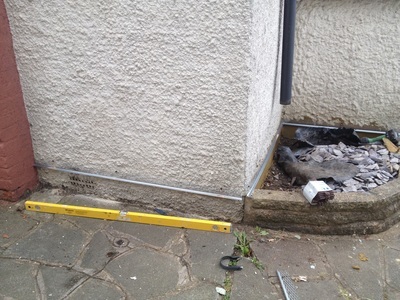 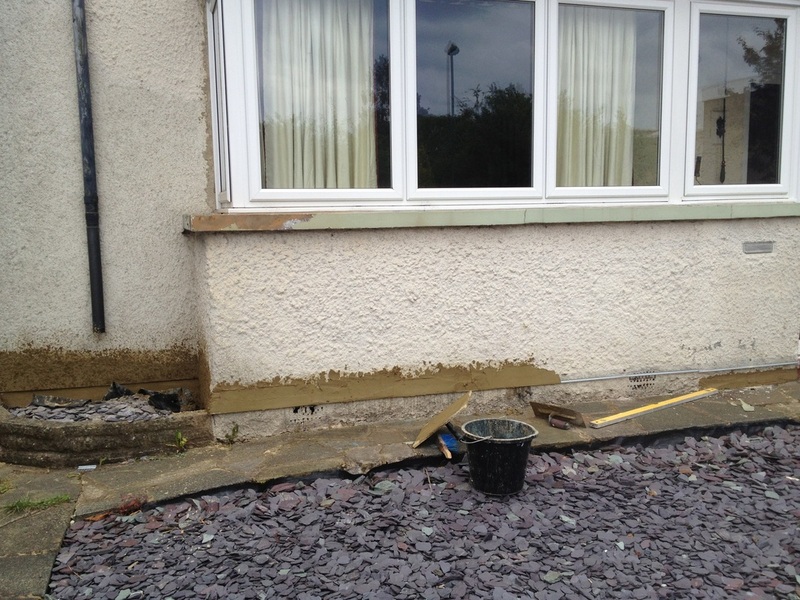 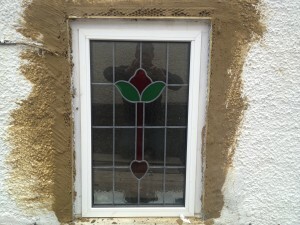 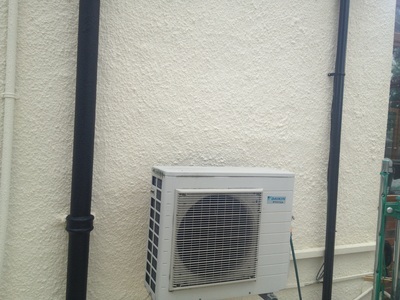 He completed a new damp proof course filled in many cracks and applied the coating among other things. 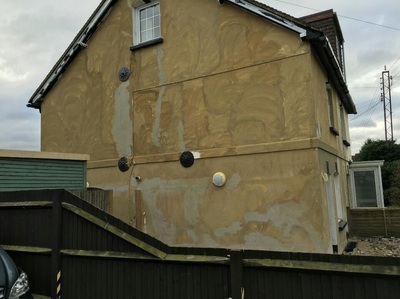 The finish is incredible and we are finally house proud again. 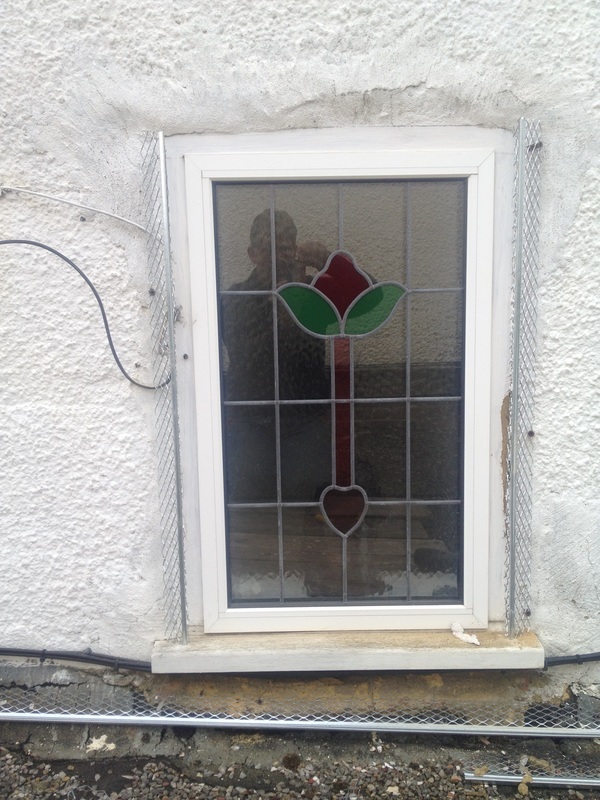 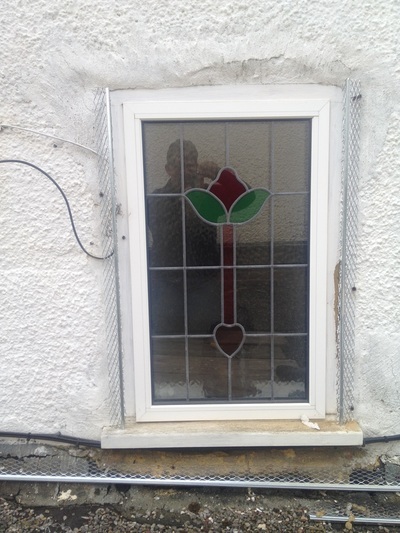 I would not hesitate in recommending him to anyone and would use him again in the future"
This 1930s building had new windows installed but no exterior paintwork for over 10 years. 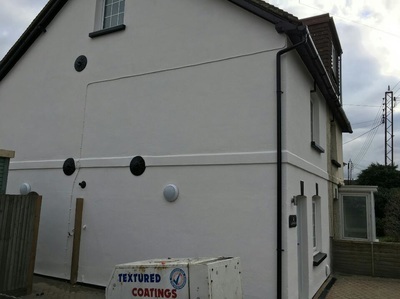 The owners wanted us to paint all facia’s, soffit’s and bargeboards as well as spraying a textured coating on the walls, for which we used Andrura fine texture. 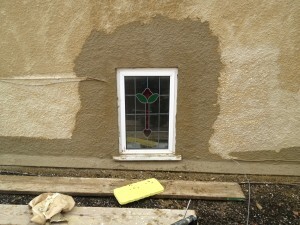 We also created a plinth and covered this with Plaspertex black. 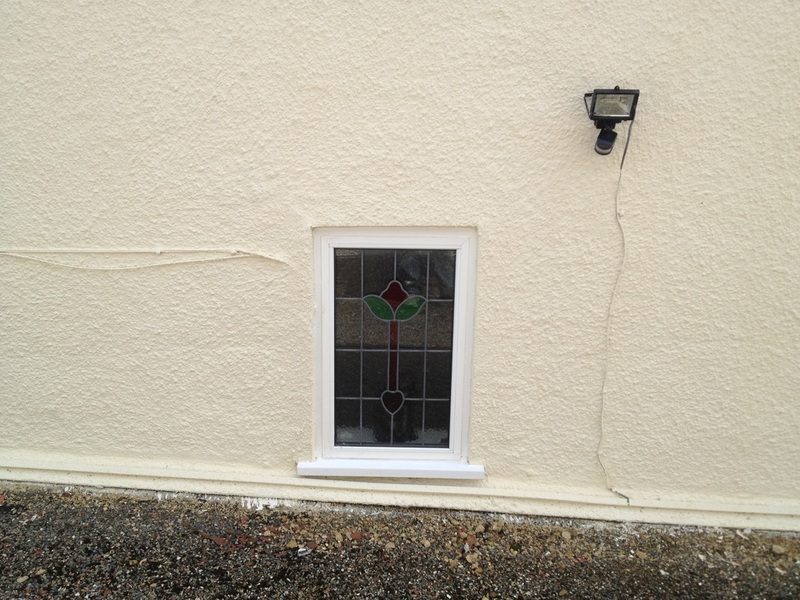 ​This Property was pebbledashed but had scars where windows had been bricked up and not matched well. 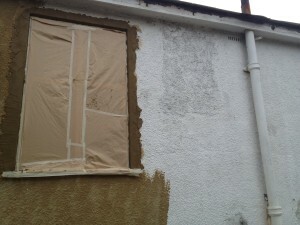 We re-pebbledashed to make uniform before we bagged, primed and then sprayed with an Evalac wallcoating.